Axiom's Category 6 shielded cables are made of (4) twisted 26AWG pure copper wire pairs. Each pair is foil-shielded and also the 4 pairs have an overall braided shield. This double shielding structure provides a maximum EMI protection. 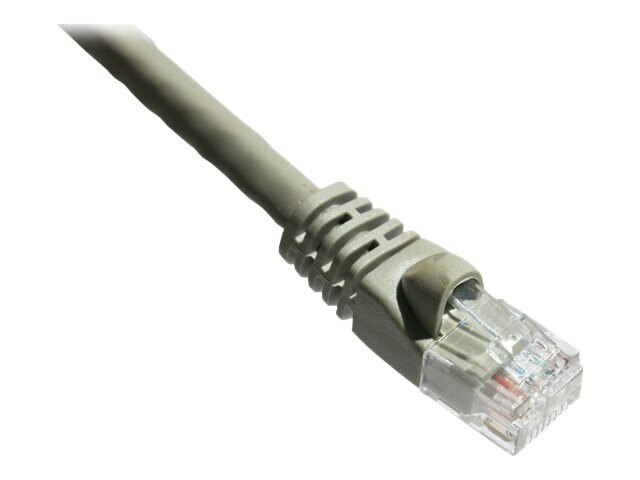 The snagless boot protects the locking tabs on the RJ45 connectors from being damaged.